Above image: "(KJV) illustration from the 1728 Figures de la Bible; illustrated by Gerard Hoet (1648–1733) and others, and published by P. de Hondt in The Hague; image courtesy Bizzell Bible Collection, University of Oklahoma Libraries" Public Domain. Göbekli Tepe, ancient archaeological dig site, dated more than 11,000 years ago to about 9600 B.C. in the Southeastern Anatolia Region of Turkey, about 7 miles (12 km) northeast of the city of Şanlıurfa. 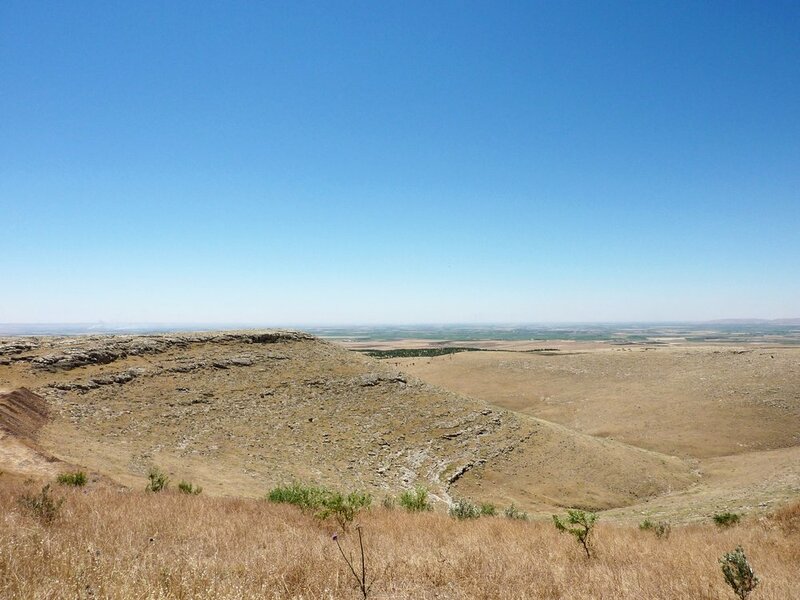 Something or someone of great importance and influence had convinced and motivated these neolithic hunter-gatherers to put their way of life on hold and come together as a group to undertake such a tremendous project as Göbekli Tepe. This is likely the first time hundreds of prehistoric peoples had formed an organized collective in order to build a religious sanctuary. The work would've taken years to accomplish and the temple would be built upon for many centuries more. The result of this work is believed to have spurred civilization as we know it today. But what beliefs or legends could have generated such a monumental task? In Part Three of our series, we examine the hypotheses put forth in Andrew Collins' book, Göbekli Tepe, Genesis of the Gods: The Temple of the Watchers and the Discovery of Eden. 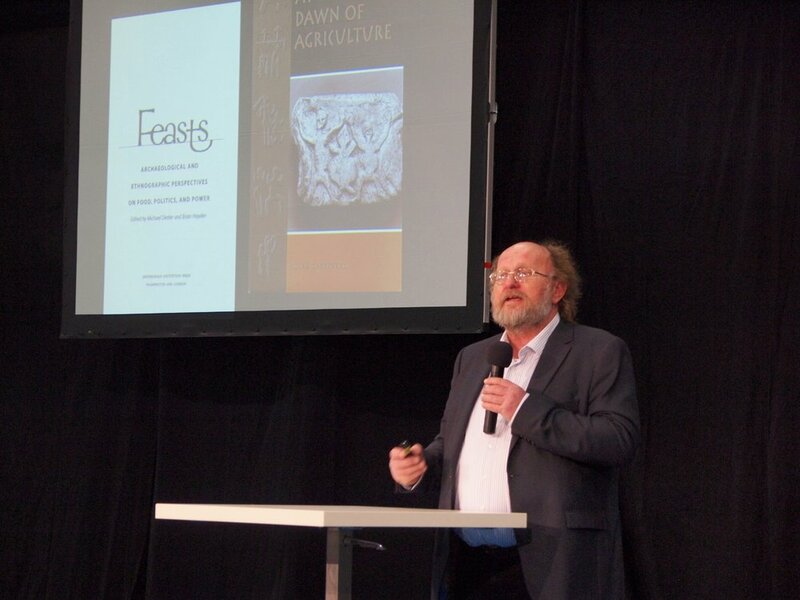 With his comprehensive and detailed research, Collins goes beyond the boundaries of interpretation where Processual archaeologists would not stray. Could the memory of a global, natural catastrophe which nearly wiped out humanity be the impetus for creating a shrine to assuage the gods into sparing them more devastation? Could the builders have been directed by foreign and mysterious visitors who seemed to have knowledge of the heavens and history far beyond their own? If they did indeed fear destruction from the cosmos, then a connection from them to us could be made, because we're subject to those very same dangers. 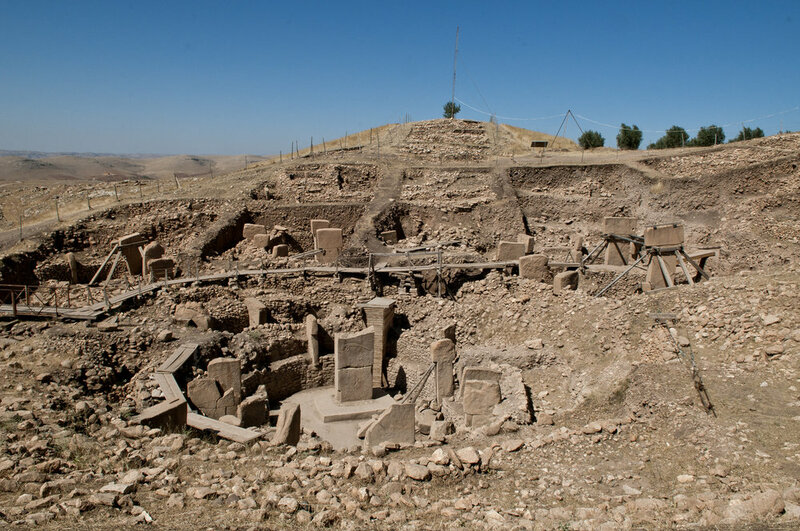 Göbekli Tepe as Armenian "Portasar – The center of the earth and life"
Processual archaeology, formerly the "New Archaeology"
Sir Mortimer Wheeler, the "Father of Modern Archaeology"
Could James Mellaart have faked some of his findings at Çatalhöyük and others? Meet & Greet Scott & Forrest and Aaron & Justin from the Generation Why Podcast at the Elks Lodge at 8:00 p.m. on July 19, 2018, in Atchison, Kansas, in conjunction with the Chasing Earhart Project's Discussion Panel at the Amelia Earhart Festival! Like the Discussion Panel, the event is free, but please go to Chasing Earhart's Facebook page to RSVP and let 'em know you're coming – it's gonna be a blast! And then Scott and Forrest will be on the Chasing Earhart Discussion Panel along with many other much more distinguished guests at Benedictine College's O'Malley Auditorium for the Amelia Earhart Festival, July 21, 2018, at 2:00 p.m. in Atchison, Kansas. The festival runs from Friday, July 20, to Saturday, July 21, and full details of events and schedules can be found here: http://visitatchison.com/event/amelia-earhart-festival/. Get your tickets to the Discussion Panel here: https://chasingearhart.app.rsvpify.com and check out the Chasing Earhart Project's Facebook page for more info: https://www.facebook.com/events/204863036728346/ Come be a part of history! Marie Mayhew, founding A.R.C. member and co-host of The Mad Scientist Podcast with Dr. Chris Cogswell has her own podcast now, called The Whatever Remains Podcast! With sharp writing and in-depth research, Marie explores the worlds of international mystery, political intrigue, and vicious conspiracies, all with her fearless, inimitable style! Search for her show on iTunes or wherever you get great podcasts or CLICK HERE to listen to episode #1 right now! The Great Courses Plus – Learn about virtually anything, now with over 10,000 lectures on almost any subject you can think of – from history and science to learning a new language, how to play an instrument or explore topics like food, the arts, travel, business, and self-improvement! And now their app lets you listen to just the audio from the courses or watch the videos, just like a podcast! Available for iOS and Android. And this great deal for your mind & body is even better for your wallet because if you go to TheGreatCoursesPlus.com/LEGENDS not only can you get a special, limited time only offer of a FREE ONE MONTH TRIAL but now your second month is only .99¢! This offer is only good for a few weeks, so sign up today to get unlimited access to their entire, massive library for under a dollar! Episode 110: Göbekli Tepe Part 3. Produced by Scott Philbrook & Forrest Burgess; Audio Editing by Sarah Vorhees Wendel; Ryan McCullough Sound Design; Research Assistance by Tess Pfeifle and the astonishing League of Astonishing Researchers, a.k.a. The Astonishing Research Corps, or "A.R.C." for short. Copyright 2018 Astonishing Legends Productions, LLC. All Rights Reserved. What we've learned so far about Göbekli Tepe, is what it appears to be, which is that it is possibly the world's oldest sacred temple. We think we know who built it: a collective of hunter-gatherers, who had not yet learned the skills of farming. We also think we know approximately when. But the answers to the questions of how and why and what did it all mean to these Neolithic peoples may not be so easily obtained. In fact, since the 1960s at least in American archaeology, a debate still rages as to how far and by what methods archaeologists should proceed to interpret what they have dug up. How closely should archaeology be tied to anthropology, how much informed speculation about their beliefs should be allowed and by whom? Processual and Post-processual archaeology are two schools of thought within the field that currently define this debate. Tonight we take a closer look at the art, the architecture, and the symbolism from Göbelki Tepe, and what it's lead archaeologist, Klaus Schmidt, thought about what it may have represented to our prehistoric ancestors. We also get closer to an even grander question, did these ancient peoples know of events in earth's past that would blow our modern minds? 1001 Heroes, Legends, Histories & Mysteries Podcast – If you like the same subjects we do but want even more topics like biographies, historical and news events, and the stories behind famous movies, then you need to check out Jon Hagadorn's 1001 Heroes, Legends, Histories & Mysteries podcast! As part of Jon's 1001 Podcast Network, he has other terrific shows like 1001 Classic Short Stories and Tales for All Ages and 1001 Stories for the Road. New episodes are released every Sunday night at 8:00 p.m. EST and there are already hundreds of shows to binge on, so go right now to his website: http://www.1001storiespodcast.com/ or find his shows wherever great podcasts are found or just ask Amazon's Alexa! Audible – Audible is a leading provider of premium digital spoken audio information and entertainment including an unmatched selection of audiobooks, original audio shows, news, comedy, and more. Sign up as an Audible Listener, and get a credit each month for a low monthly fee, good for any audiobook in the store regardless of price, and unused credits roll over to the next month. Didn't like your audiobook? You can exchange it, no questions asked! Listen to your books anytime, even if you cancel your membership. In addition, membership gets you access to exclusive sales and 30% OFF all regularly priced audiobooks. To get your first FREE audiobook with a FREE 30-day trial membership, go to audible.com/AL or just text the letters A L to the number 500500. Then browse their massive selection, download your choices and start listening! Blue Apron – Not only is Blue Apron currently offering scrumptious recipes that have been adjusted so you can include them in your summertime grilling, but they've also partnered with Supermodel and Best-selling cookbook author Chrissy Teigen, featuring six weeks of her favorite recipes you can now make at home! Chrissy's recipes include dishes like Garlic & Soy-glazed Shrimp with Charred Broccoli & Hot Green Pepper Sauce and Sesame Chicken Noodles with Bok Choy, as well as many other flavor inspirations from around the world! So check out this week's menu and get your first three meals FREE by going to BlueApron.com/astonishing! Episode 109: Göbekli Tepe Part 2. Produced by Scott Philbrook & Forrest Burgess; Audio Editing by Sarah Vorhees Wendel; Ryan McCullough Sound Design; Research Assistance by Tess Pfeifle and the astonishing League of Astonishing Researchers, a.k.a. The Astonishing Research Corps, or "A.R.C." for short. Copyright 2018 Astonishing Legends Productions, LLC. All Rights Reserved. In 1963, archaeologists from the University of Chicago and Istanbul University examined a site known by locals as Göbekli Tepe, or "Potbelly Hill." They dismissed the site at the time as merely a medieval cemetery due to the numerous slabs of stone thought to be grave markers. However, in 1993, German archaeologist Klaus Schmidt, who was doing work at another Neolithic site in nearby Nevalı Çori, heard about the report and decided to investigate it for himself. What Schmidt and his team would eventually discover would turn out to be one of the most astounding, mysterious and important archaeological discoveries in history. Laying just below the surface was the earliest known sanctuary structure ever built by humans. Somehow, a group of prehistoric hunter-gathers had managed to quarry massive slabs of stone from nearby outcroppings, some weighing as much as 7 to 10 tons with lengths of up to 18 feet. They then moved them hundreds of feet into numerous circular configurations. This was done without the use of wheels or animals and before the invention of metalworking, pottery or writing. The earliest works found at the site date to over 11,000 years old, or around 9600 B.C., predating Stonehenge by at least 7000 years. While we may not know yet what belief system would motivate these ancient, primitive peoples to undertake such a monumental task, the result of their unbelievable efforts may have led to a ground-breaking theory. Instead of the previous view that the invention of the domestication of plants and animals led humans to develop civilization and with it, religious belief systems, the human desire to worship as a community may have led to farming and thus sparked civilization. As researchers are still seeking answers as to what these people believed, there are those that think the answers may be far more mystical than what many are willing to imagine. Casper – Casper is THE place to shop for Memorial Day mattress savings! You'll spend about one-third of your life sleeping, so why not get the most comfortable mattress you can buy, and at a reasonable price? Casper mattresses are cleverly engineered to mimic human curves, cradling your natural geometry in all the right places, thereby providing supportive comfort no matter your body type! Casper now offers two other mattress models, the Wave and the Essential, as well as a wide array of other products like pillows and sheets, all designed to ensure an overall better sleep experience. Now YOU can enjoy this same level of comfort, wake up refreshed and be sure of your purchase of a Casper mattress with their 100 night, RISK-FREE, Sleep On It Trial AND receive 10% OFF your order with any mattress purchase! But you must act fast because this special Memorial Day offer expires May 29, 2018, so visit casper.com/savings today for great sleep and great savings! Terms and Conditions apply. Mack Weldon is back, and we're excited! Because now they have an even greater selection of the most comfortable and well-made underwear, socks, shirts, undershirts, hoodies, sweatpants and more you can buy! Stylish design and precision construction combined with cutting-edge fabrics like those with anti-microbial silver particles ensure you get a cool, cozy fit and long-lasting durability. Also, their website couldn't be easier to shop and find exactly what you're looking for, so go on over to MackWeldon.com and use our Promo Code "LEGENDS" at check-out to get 20% OFF your first order! hims – 66% of men lose their hair by age 35 – it's not just old guys! The thing is, by the time you start to notice you're losing it, it may be too late and it's easier to keep the hair you have than replace the hair you've lost! But don't worry just yet, because now you have ForHims.com, a one-stop shop for hair loss, skin care, and sexual wellness for men. hims connects you with real doctors and medical grade solutions to treat hair loss and E.D. No more awkward waiting at the doctor's office or at the locked cabinet at the pharmacy. Answer a few quick questions online and a doctor will review and prescribe generic equivalents to name-brand medications which are delivered right to your door. And now you can get a trial month of hims for just $5 while supplies last, just by going to ForHims.com/legends! See website for full details. Episode 108: Göbekli Tepe Part 1. Produced by Scott Philbrook & Forrest Burgess; Audio Editing by Sarah Vorhees Wendel; Ryan McCullough Sound Design; Research Assistance by Tess Pfeifle and the astonishing League of Astonishing Researchers, a.k.a. The Astonishing Research Corps, or "A.R.C." for short. Copyright 2018 Astonishing Legends Productions, LLC. All Rights Reserved.